Jacob has experience in a wide range of labor and employment law matters, including labor relations, employment discrimination, wage and hour, employment contracts and severance agreements, and employee misclassification. He has provided counseling on unemployment insurance matters and representation at hearings and on appeals, having appeared before the New York State Unemployment Insurance Appeal Board hundreds of times. Jacob was previously the president of the board of directors of the Unemployment Action Center, a non-profit organization that has provides pro bono representation at unemployment insurance hearings to hundreds of claimants per year since 1980. After graduating from New York Law School with a concentration in Labor and Employment Law and working as an associate at an employment law firm, Jacob founded his own labor and employment law practice, where he has counseled employees and employers on their rights and obligations under the law and represented them in negotiation, litigation, and administrative proceedings. Jacob is an alumnus of the Peggy Browning Fund Fellowship Program, a prestigious honor for law students who are dedicated to careers in workers’ rights. 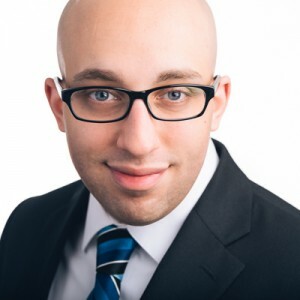 As a Peggy Browning Fund Fellow at the Workers Defense League, Jacob spent his second summer of law school providing direct pro bono representation to claimants at unemployment insurance hearings. During law school, Jacob was a member of New York Law School Legal Services, where he represented the plaintiff in an employment discrimination matter, drafted an amicus curiae brief for the U.S. Supreme Court in Shelby County v. Holder, and performed legal research and writing for the American Civil Liberties Union Racial Justice Project. He also served as President of New York Law School’s Labor and Employment Law Society, President of the New York Law School chapter of the Unemployment Action Center, Senior Editor of New York Law School’s Dispute Resolution Team, and a teaching assistant for the first-year Civil Procedure course. Throughout college, graduate school, and law school, Jacob also worked evenings and weekends as an usher at a Broadway theater, where he joined the International Alliance of Theatrical Stage Employees (IATSE) Local 306 and was introduced to the labor movement.